Whether you want to watch a film, get movie details, or see previews of upcoming flicks, there are apps for Apple TV that have you covered. If you enjoy older films, from dramas to horror flicks, then check out the apps that specialize in the classics. 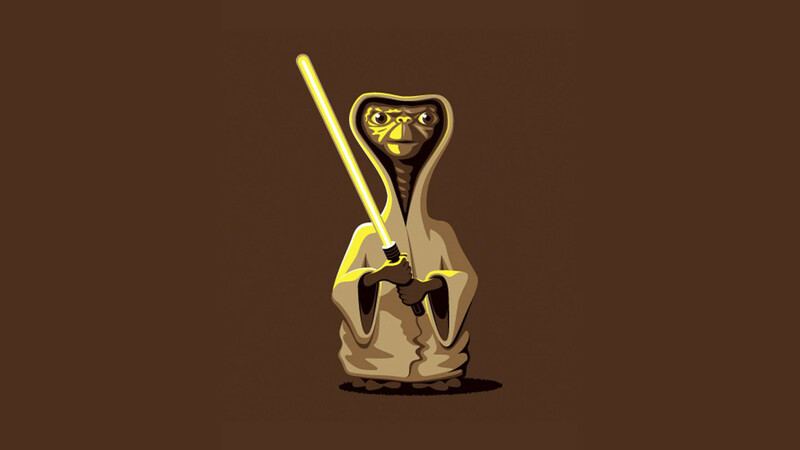 For those who just want classic television shows and movies for the entire family. Classix is an Apple TV app that gives you an entire library of classic TV shows and movies for you and your family. When you sign up for Classix Premium, which is just a one-time fee of $0.99, you will get access to the entire library of programming available in the app, and it is always updated with new content. Classix features classic television shows and movies, including old-school cartoons so even the young ones can be entertained with the app. And as you watch more with Classix, the app learns what you like and don't like, giving you accurate recommendations from your viewing history. And you can add favorites to a list and pick up whenever you have some time. Sometimes we just want to sit down with the classics and relax, remembering the good old times of amazing original shows and movies. For a small one-time fee, Classix delivers the best of the past and there is a ton of content for everyone in the family to enjoy. Maybe you are unsure of which film you want to see or would just like to narrow down your choices. Either way, checking out movie trailers on your Apple TV is a great way to pick a film. View previews for movies in theaters, that are featured, or those topping the charts. For those interested in viewing movie trailers along with local show times. 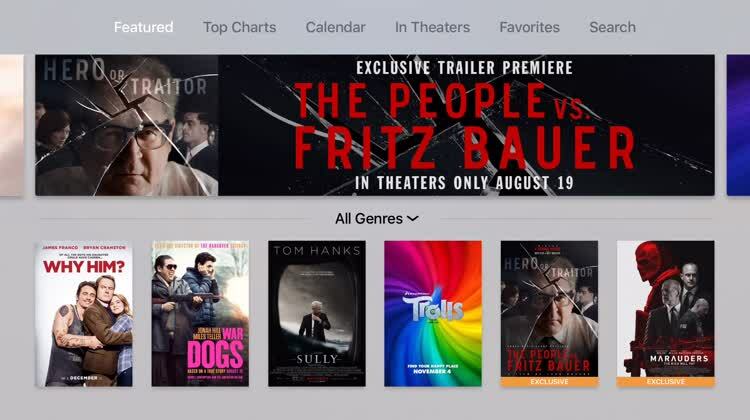 The iTunes Movie Trailers app is a terrific tool for checking out trailers and more. The trailers are categorized for easy browsing, the calendar feature helps to see what is being released and when, and the ability to view local show times is an awesome bonus to the app. 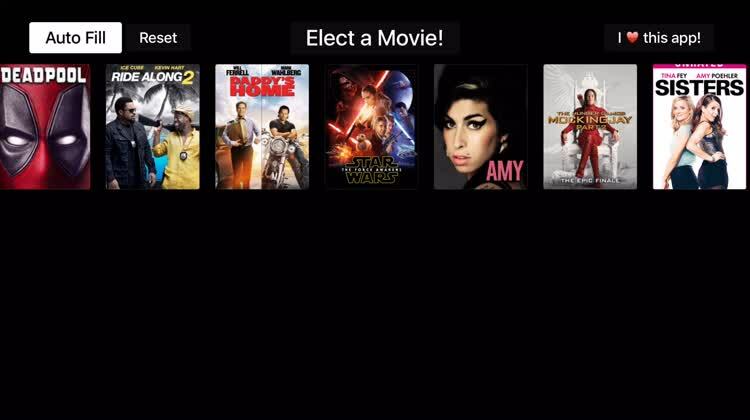 For planning out your date or movie night, the iTunes Movie Trailers app for Apple TV makes it simple. See what’s in theaters, view the latest trailers, and look at what’s coming up. For those who enjoy watching movie trailers for upcoming releases and films playing now. Hello Movies has a nice array of movie trailer options. With an easy-to-use swipe interface, you can quickly get to the trailers you want to watch. From films currently playing to those coming up, you will always be in-the-know with new movies. 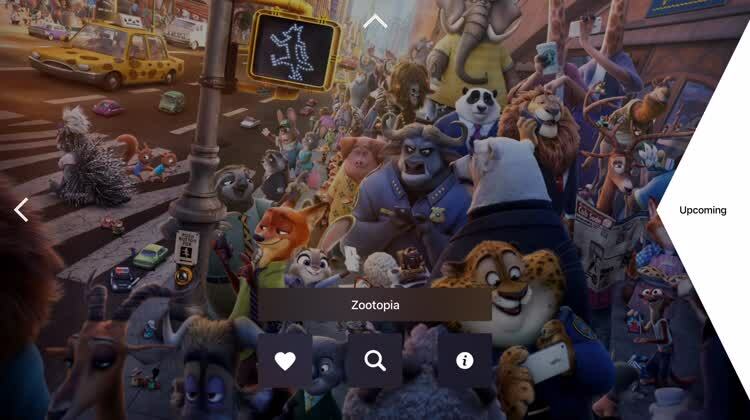 You can also search by genre, view movie details, and save your favorites. Hello Movies is a terrific Apple TV app for checking out new films. From trailers to photos to details, if you love movies then this app will keep you up to date on fresh flicks. Getting suggestions, film details, and choosing what to watch is simple with apps that help you decide on the perfect movie for your mood or style. 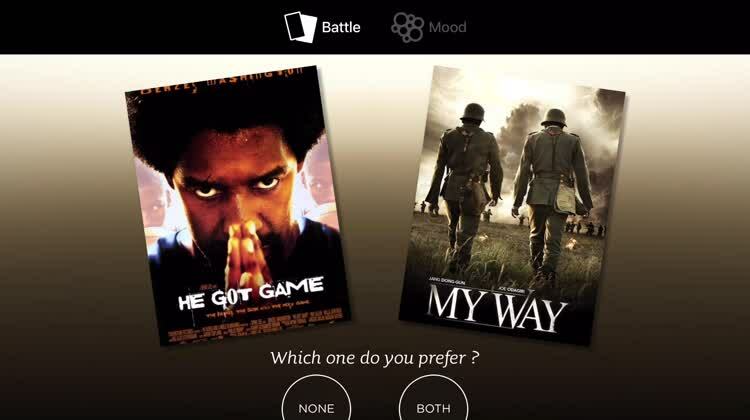 Get movies chosen just for you with this personalized video app. For those who like movies based on their taste or mood. categories, select between movie genres, and then get suggestions based on your preferences. If you are in the mood for strange, suspenseful movies, you will get them. Or, if you feel like watching a romantic comedy, you will get those options too. Spideo Movie Discovery is a terrific way to find just what you are looking for. For finding movies that are tailored to your taste or mood, Spideo Movie Discovery displays options especially for you. For groups who want to watch a movie, but don't want to argue over it. Browse through movie cards, swipe up on the ones you like and watch as they magically fly from your phone to your Apple TV screen. When everyone is satisfied with the movies you’ve tossed onto the TV, click a button on your Apple TV remote and moviElect will spit out a winner. This is a great way to make sure that everyone at a movie party is happy. Let the room decide between a comedy, drama, or action movie. 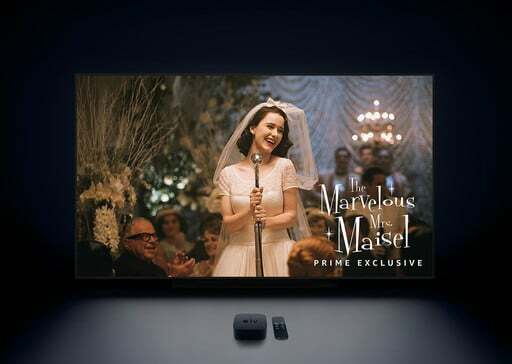 Save yourself some cash by checking out apps that offer movies for free on Apple TV. With movies and even television programs, you cannot go wrong shows at no charge. For those who enjoy watching movies and do not subscribe to a paid film service. 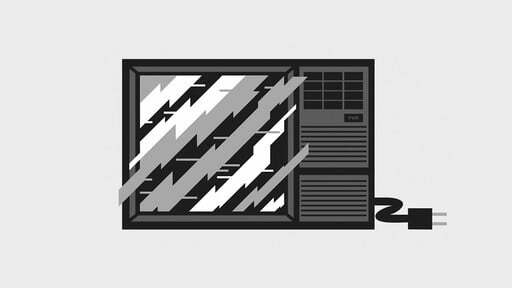 For those who want some television and movies to watch without paying anything. Crackle is the leading free app that gives you a huge variety of options to choose from each month. There are no hidden fees to use the app, and you get plenty of different television shows and movies to watch, with rotating content every month. This is a great way to catch up on favorites, discover new shows and movies, and just pass the time. 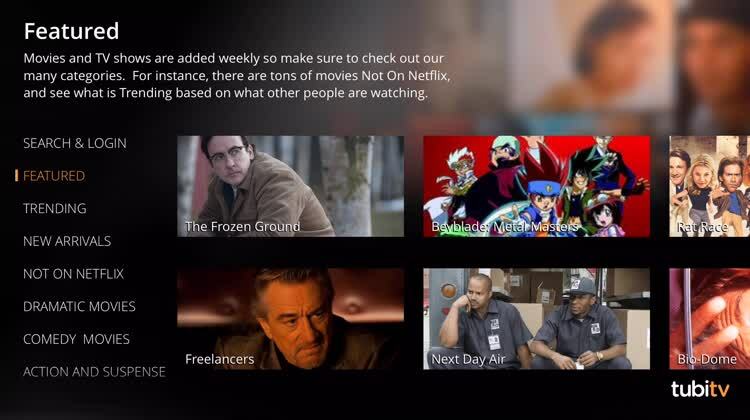 Crackle has television, movies, and even anime, so there is something for everyone here. 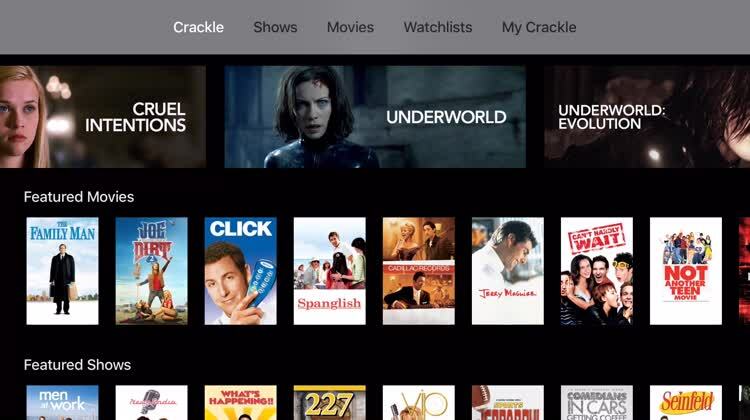 Crackle gives us a lot of options for video streaming entertainment.